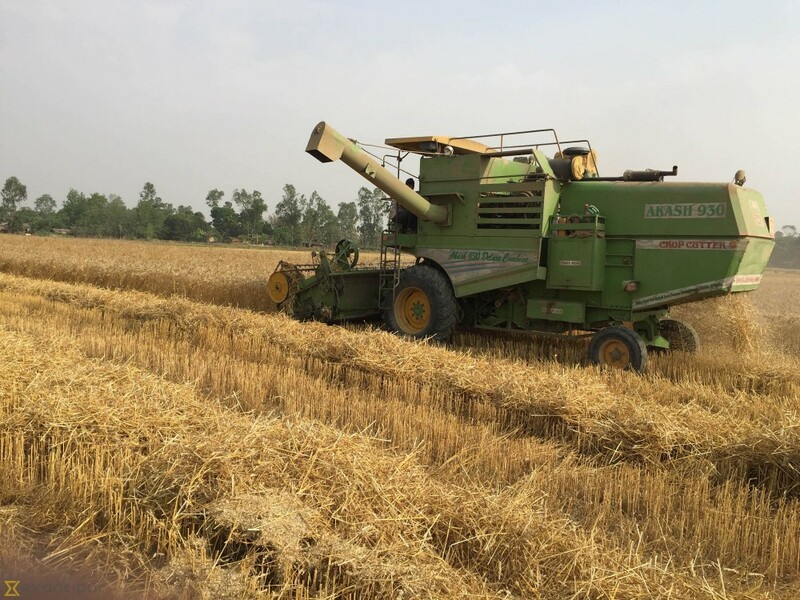 Nepal’s wheat harvest is projected to exceed 2 million tonnes this fiscal year and set a new record, thanks to good weather during the growing season in the winter, a senior government official said. The all-time-high wheat crop follows a bumper paddy harvest last summer. Wheat is the country’s third most common cereal crop after paddy and maize. This year’s harvest is expected to record a 7 percent growth largely due to ‘good winter’ rainfall across the country, said Ram Krishna Regmi, chief statistician at the Agriculture Ministry. The government will soon announce crop production estimates for 2018-19. While the plentiful harvest of cereal crops is expected to increase farmer incomes, reduce the country’s rice import bill and cool down inflation, its wider effect will be seen in the government’s growth target as the economy is strongly dependent on farming. The country witnessed a record wheat output of 1.97 million tonnes in 2014-15. Production plunged 12.1 percent to a six-year low of 1.73 million tonnes in 2015-16 due to winter drought. Harvests jumped 6 percent in 2016-17, reaching 1.84 million tonnes. The country’s wheat production stood at a record 1.93 million tonnes in the last fiscal year, making it the second biggest wheat harvest in the country’s history despite a prolonged winter drought. The projected harvest is expected to generate revenues of more than Rs45 billion based on the average price of wheat of Rs22 per kg. Harvesting started in mid-March in the southern Tarai plains. According to Regmi, while timely winter rainfall helped to boost wheat yields in the Tarai region, snowfall proved to be boon for crops in the hills and mountain regions. Government officials said that improved varieties of wheat seeds also helped to boost productivity. Nearly 45 percent of the wheat acreage is now covered by improved seeds. There were no shortages of chemical fertilisers, except in a few places, this fiscal year, they said. Regular shortages of soil fortifiers have bedevilled farm production in the past. Wheat is the third largest contributor to Nepal’s agricultural output after paddy and maize. It accounts for more than 7 percent of the agricultural Gross Domestic Product, according to the Central Bureau of Statistics. Nepal’s paddy harvest is expected to hit a record high of 5.61 million tonnes this fiscal year, according to the preliminary statistics of the Agriculture Ministry. The bumper crop is a 9 percent increase from the previous year. The highest ever output is a result of better-than-expected rainfall this year. The ministry’s statistics show that Nepal’s paddy productivity is expected to increase to a record high of 3.8 tonnes per hectare this fiscal year ending mid-July, up from 3.5 tonnes in the last fiscal year 2017-18. The country’s average productivity is 3 tonnes per hectare. Based on the average price of Rs21 per kg, this year’s projected paddy harvest is worth more than Rs115 billion, excluding the value of byproducts like straw and bran which reaches billions of rupees. The government is hopeful of achieving an economic growth rate of 7-8 percent this fiscal year, largely due to the strong agriculture growth. Finance Minister Yuba Raj Khatiwada had forecasted a growth rate of 8 percent when he presented the budget statement for the current fiscal year to Parliament.